Despite recent reports suggesting Zimbabwe's government is unlikely to strip foreign mining companies of half their assets without compensation, firms with operations in the African nation fear a draft bill leaked to the media last week could soon come in effect. 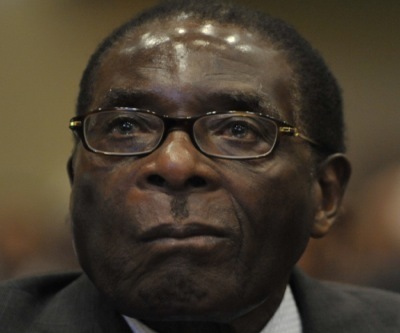 According to the document, foreign-owned mining firms not only must continue to cede 51% ownership to black Zimbabwean investors, as specified in the law passed by President Robert Mugabe in 2010. Now they will also have to accept the fact they wouldn’t receive any sort of compensation for their relinquished stakes. The so-called “indigenisation law” has been blamed for the dramatic foreign investment slump affecting the nation in the last couple of years, reports AllAfrica.com. Based on figures supplied by the Zimbabwe Investment Authority, foreign direct investment (FDI) has fallen 76% so far this year compared to the same period in 2012. Tragically, however, that message is falling on deaf ears, for there are none so deaf as those who will not hear. That Zimbabwe is not attracting considerable FDI, in contrast to the substantial extent of such investment in various other countries in Africa, is not because it does not have numerous, and diverse, positive resources which provide opportunity for investment. In the meantime, mining companies continue to face challenges in the African nation. On Monday, local press reported that the government plans to seize 28,000 hectares of land in the gold and copper-rich Kadoma mining district belonging to South Africa’s Impala Platinum (JSE:IMP) (LON:IPLA), the world’s second-biggest platinum producer. The company, which sealed a deal to sell a 51% stake in its Zimplats (ASX:ZIM) unit under the state-imposed black empowerment law, was supposed to obtain close to $1 billion in compensations. The deal, the first large agreement reached between a mining company and Zimbabwe’s government after the introduction of the indigenization scheme, may need to be revisited if the ruling is modified.